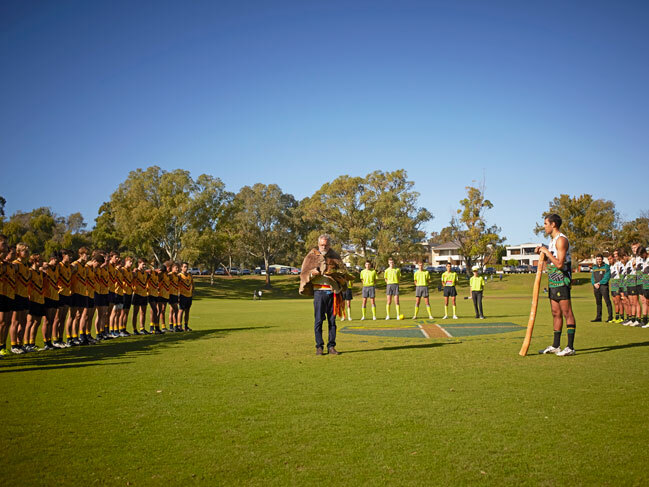 Each year, the PSA Indigenous round of football takes place alongside the AFL’s Indigenous round which celebrates and recognises Indigenous players and culture. 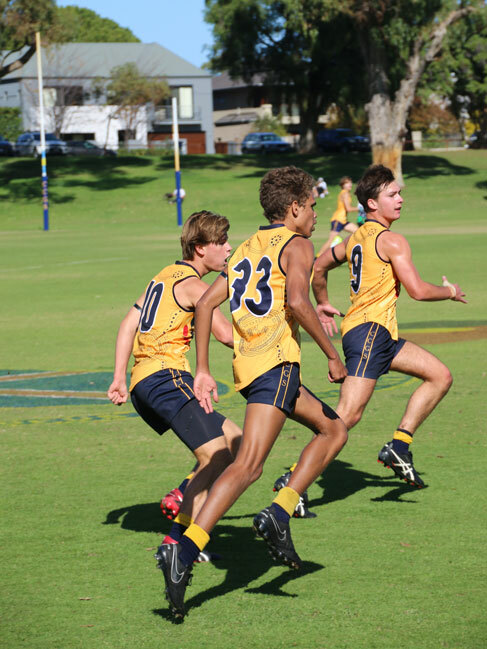 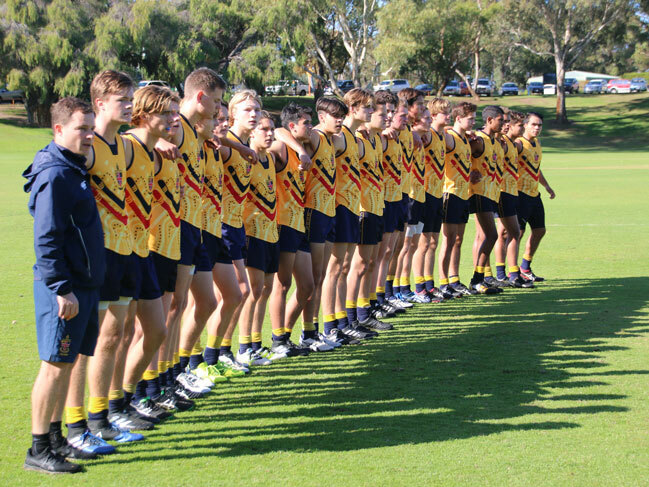 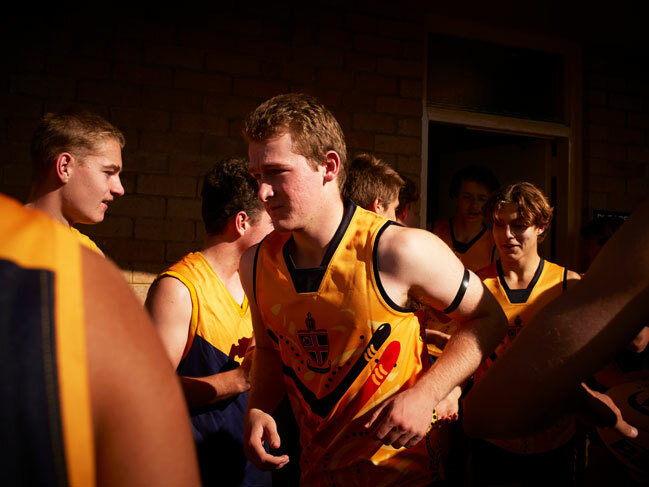 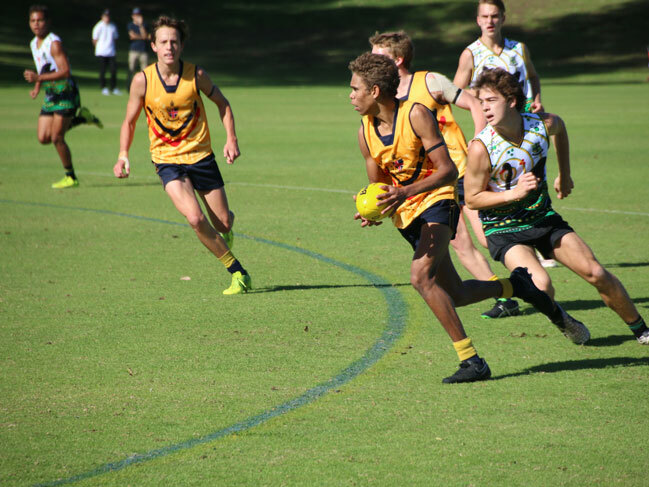 Christ Church took on Wesley College on 27 May, our team starring Indigenous boarders Lewis Henry, Brodie Albert, Liam Henry and Isaiah Butters, alongside players of our Firsts football team. 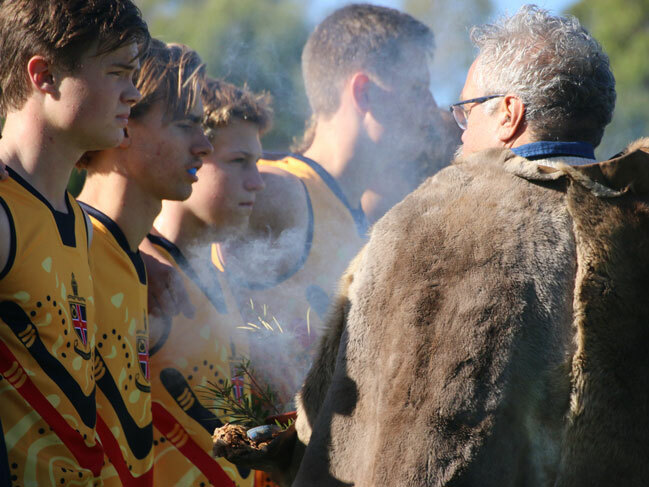 The game started with Indigenous boys from both schools meeting in the middle of the field to welcome one another and complete a toss of the coin. 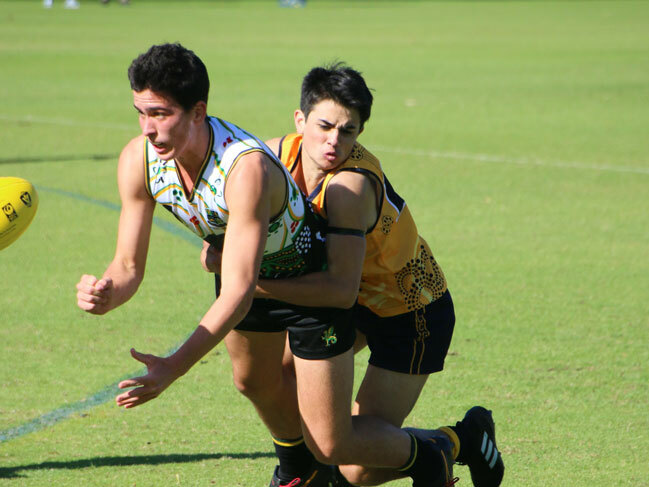 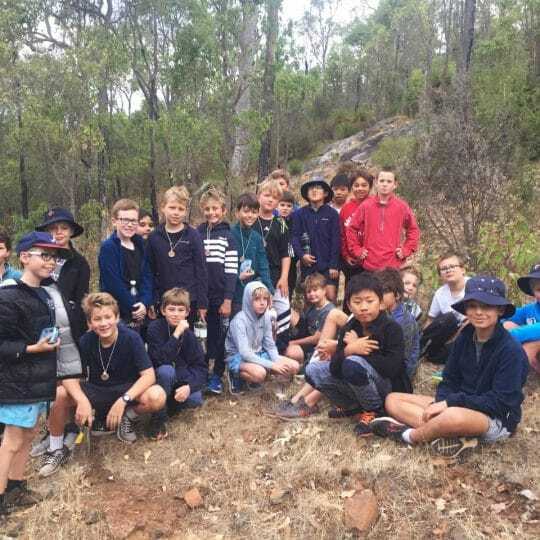 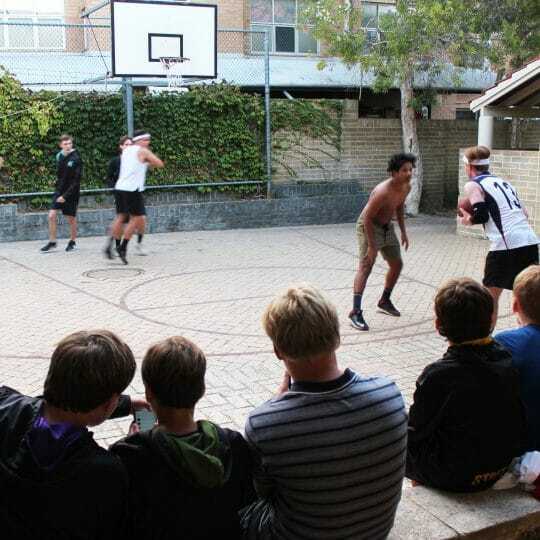 “Despite losing to a talented team the boys played extremely well and should be proud of their performance”, said Christ Church Indigenous Program Co-ordinator, Mr Michael Ralph. 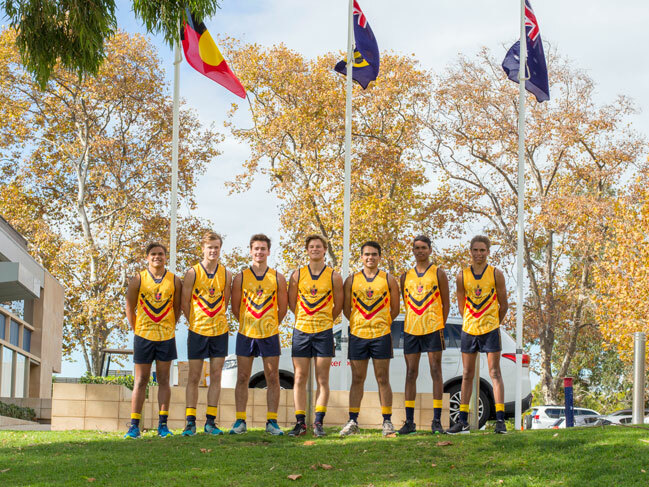 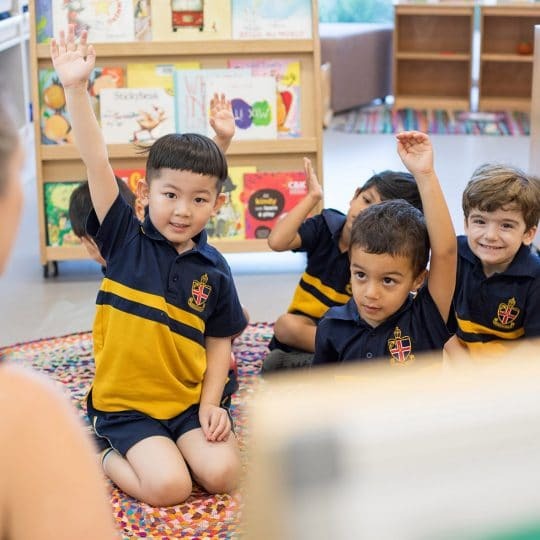 With special guidance provided by Lewis, Brodie and Rahamat Bin Bakar, an Indigenous football jumper was created and worn by our football team during the game against Wesley. 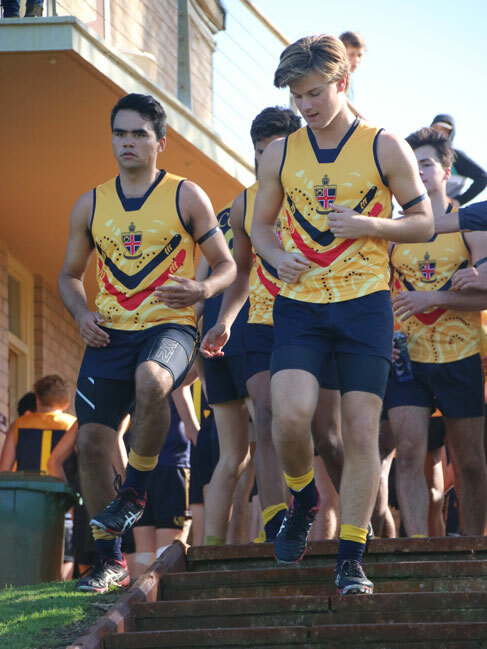 Similarly, Wesley also wore an Indigenous round jumper designed by their Indigenous boys. 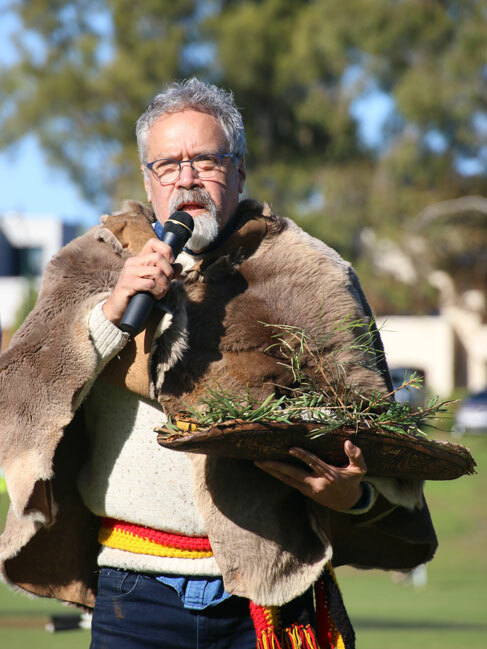 Key highlights of the day included a Welcome to Country and smoking ceremony conducted by Curtin University Elder in Residence and Wajuk Nyungar, Simon Forrest. 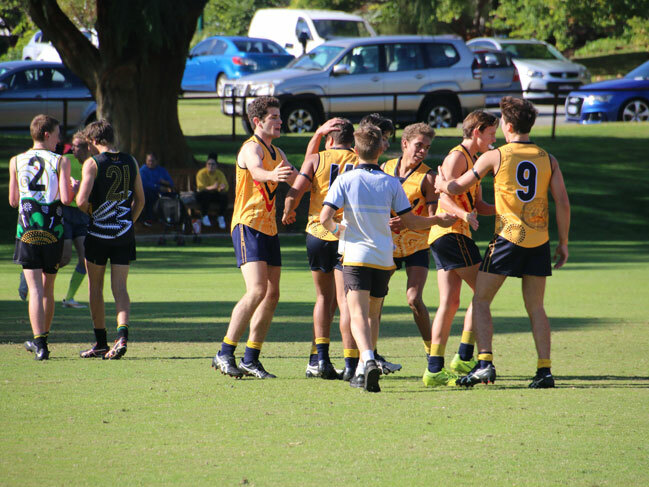 Congratulations to Wesley on their win.